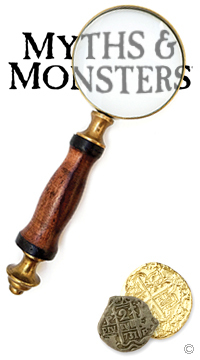 The Myths & Monsters of Reston, Virginia: Field Guide is an adventurer's companion book to Myths & Monsters of Reston, Virginia (aka Myths & Monsters Vol. I). The creature-watching guide, nature tips, and activity ideas are fun to enjoy in your own great outdoors... whether that's Reston or anywhere in the world! Dr. Thalmeus may have unexpectedly vanished, but the legacy of his journey is far from over. There are so many more mysteries that need to be investigated to uncover the truth. 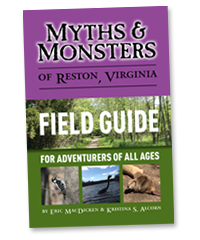 Grab your Myths & Monsters of Reston, Virginia: Field Guide and your exploration gear as you embark on your own adventure to discover myths, monsters, legends, lore, and some pretty amazing natural wonders.